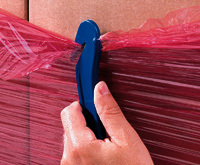 Strong, self-clinging stretch wrap helps secure pallet loads. 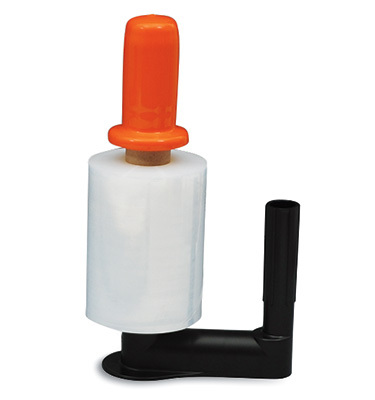 Dispenser has black U-shaped handle and orange tensioning grip for easy application. Quiet release. 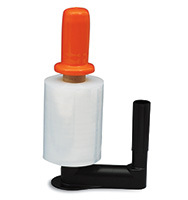 Includes one set of dispensers per case.